About – Minuteman Design Center, Inc.
A family owned and operated kitchen and bathroom design center. We specialize in refinishing your existing cabinets and furniture and custom building cabinets. J.C. Lopez opened Minuteman in 1981, as Minuteman Furniture Stripping & Refinishing, beginning as a furniture refinishing shop and eventually expanding into a kitchen and bathroom restoration company. During this time, Mr. Lopez fine tuned his customer service, sales and craftsmanship that the company needed to thrive. Minuteman Refinishing soon transitioned into designing and building custom kitchens, becoming Minuteman Design Center. Minuteman Design Center performs both residential and commercial work, working one-on-one with home owners and in many cases with interior designers and interior decorators. Commercial clients include many departments at the University of New Mexico, as well as local and national businesses in the area. Minuteman Design Center also gives back to the community and was featured on the ABC television show, “Extreme Home Makeover”, contributing its expertise to restoring multiple pieces of furniture. Our family finds pride in providing your family with a kitchen that will serve as the basis for lasting memories. J.C. Lopez is a sixth-generation Albuquerque-area native. His father, Jose Lopez, was born and raised in the small village of Manzano, in the Manzano Mountains. His mother, Frances Lopez, is from the village of Torreon, also in the Manzano Mountains. This family’s New Mexico roots date back to the 1600s. Though most of the Lopez family tree consists of homegrown ranchers and farmers, J.C.’s father was the first to break from the farming tradition and become a barber in the city of Albuquerque. Like his father before him, J.C. found something he knew he could do and do it well. J.C. has been an active member of the community his entire life, volunteering and donating countless hours to various programs and activities. J.C. has sat on the Executive Board of the UNM Lobo Club, which is an arm of the UNM Athletic Department, and sits on the City of Albuquerque Municipal Gold Advisory Board. 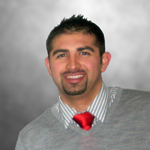 He is one of the co-founders and vice president of the Westside Chamber of Commerce. In 2005 he was on the Board of Directors for the Work Force Connection, and in the early 1990s, he sat on the board for the Private Industry Council. 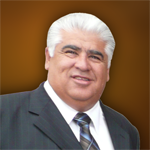 In 1996, J.C. was President of the Los Ranchos Fourth Street Business Association. J.C. has also contributed his time to the youth by coaching and sitting on the Board of Directors at West Mesa and West Gate Little Leagues. He was also an assistant coach for the boys basketball team at John Adams Middle School, and an assistant coach for the West Mesa High School softball team. J.C. has been married for 40 years to his wife Patricia, who is employed by Daniels Insurance Agency. He has three children, Jeremy, the President of Operations and Sales for Minuteman; Jovonne, who earned her marketing degree from UNM in 2005, and assists Minuteman in various capacities; and J.D. Jeremy was born and raised in Albuquerque, NM. He is married to Ashley with three beautiful daughters, Aubri, Olivia and Scarlett and one handsome son, Jeremiah. He is a graduate of Sandia High School where he played on the basketball team all four years, three of which as the starting point guard for the varsity team. This is where he began honing his leadership skills. It was at this time that the seed was planted that Jeremy would someday own his own business. Upon graduating high school he moved to Los Angeles, CA, where he lived with his brother, J.D. While in California Jeremy became a partner in his brother’s entertainment company. Jeremy was the President of Sales and was responsible for overseeing the production all of all label releases and handled various artist issues, such as building the artist roster by scouting and signing recording artists. He was also a District manager with T-Mobile responsible for the success of three branches, managing a team of twelve employees, and resolved all customer service issues and conerns. Jeremy returned to Albuquerque in 2005 and immediately began helping his father J.C. with Minuteman. Jeremy began learning the techniques of stripping and refinishing. Jeremy is now the General Manager where he now oversees a team of refinishers and is responsible for acquiring new customers. He is committed to customer satisfaction and guarantees his work by ensuring it is completed as if it were his own beautiful piece. He ensures that every piece of furniture is handled with care, quality, and knowledge. In his spare time Jeremy is involved with Bernalillo County Parks and Recreation Basketball Leagues and remains active in his community.